Disclosure: Post and giveaway sponsored by OshKosh B’gosh, but all opinions are my own. Please see below for additional disclosure. It’s almost the most wonderful time of the year again…the holidays! Any one else already feeling the busyness of it all? I feel like this month is the busiest I have been in forever. 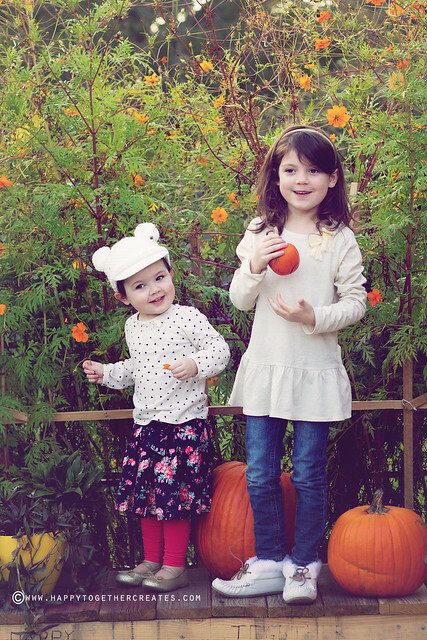 One thing on my priority list though is taking a picture of my girls to send out with a Christmas card. Miss E’s outfit: shirt, skirt, leggings, shoes, and hat are all courtesy of OshKosh. Miss J’s Oufit: Shirt is c/o OshKosh. Yup. That’s right. Holiday picture taking is right around the corner! And so that means thinking about what outfits to wear too. 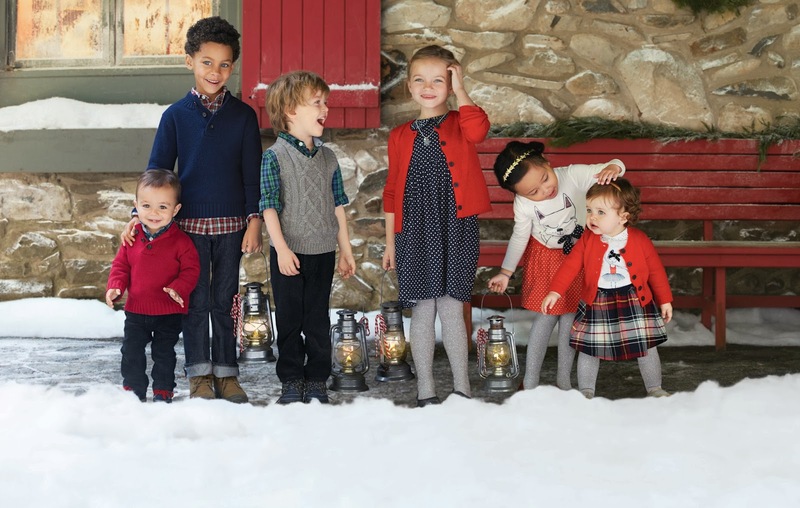 Create picture perfect looks for your family photos with OshKosh B’gosh adorable skirts, cable-knit vests, sweaters, dresses and more. When you’re searching for what to dress your kids in this season, the OshKosh B’gosh Holiday Shop is your destination for every occasion. OshKosh B’gosh has everything you need for a “B’gosh Believes” holiday! 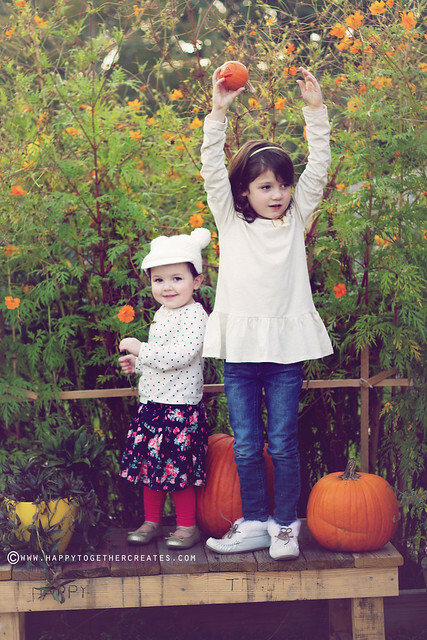 Fun tees, cute corduroys and adorable dress-up outfits are perfect for holiday photos and family occasions. They make it easy with outfits already all put together for you as well if picking out outfits is hard for you to do. And OshKosh clothes are nice to use because they are more than one time outfits, you know what I mean? You can snap the perfect family photos with comfortable pieces your kids will love to wear every day. Here are some ideas of what OshKosh has going on right now to help with baby winter clothes and kids winter clothes for holiday picture outfits. –Embellished tees are perfect for playtime and all-day wear. Sequins, bling and bows make these tees super stylish! 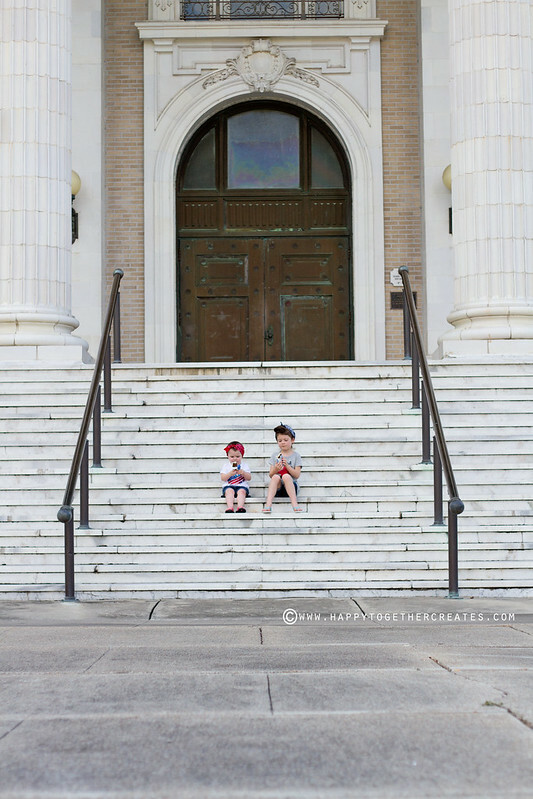 –OshKosh B’gosh has darling dresses that are soft and easy-to wear. Pair them with a cardigan to keep her cozy and complete her spot on look. –Dress up her outfits with sparkly ballet flats with comfortable tights. 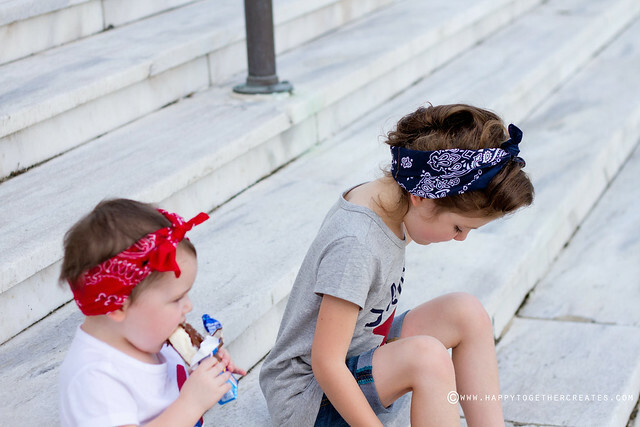 –Let her make a statement with OshKosh B’gosh bangles, ribbon necklaces and headbands galore. –Button-front plaid shirts are perfect for all occasions! Pair them with corduroys, khakis or jeans for an easy outfit. –He’ll have fans all over the neighborhood after he carols in the handsome combo of fleece-lined jeans and a denim shirt. –A cable knit sweater vest is perfect for dressing up his holiday outfits. He’ll look picture perfect. 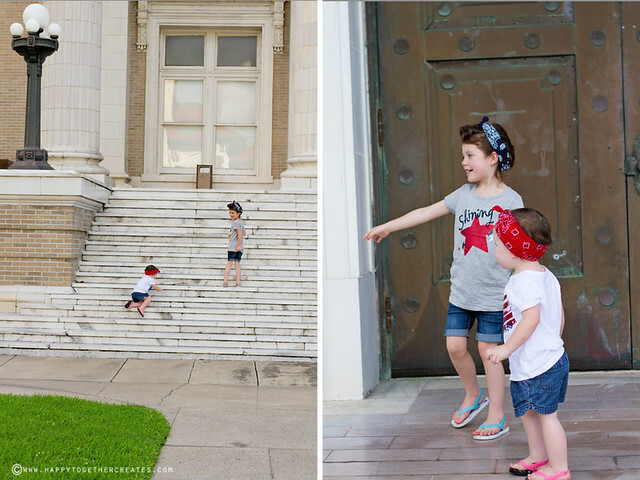 I also wanted to share a few quick tips about taking pictures of your child that I have learned that might make the task easier. 1. Pick a location they are comfortable at. For my girls this usually means our home. It’s easier on us all and if they are crazy no one else can see 😉 We took these pics in our backyard. You could even get fancy with a fun setup! 2. Let them have something in their hands (toy, treat, prop). This is especially good for toddlers. I know it helps my little one stay focused for a bit so I can take some pictures when she isn’t in the mood for them. 3. Have a helper to get their attention. You can see how my girls were looking off to the side in some pictures because daddy was being silly. Nothing like a silly parent to get kids attention. 4. Ask them to dance. Miss E was really not into these pics, or any pictures as of late recently. So we put them on the bench and started to get them dancing. She really likes to wiggle, so we focused on that. 5. Get them to look at the camera with questions. If the children are a bit older and you are having a hard time getting them to look at the camera (and desire them too), try asking them about things that will make them look at you. Such as “What color is my camera?” and then be silly about how you think it’s really yellow or something. 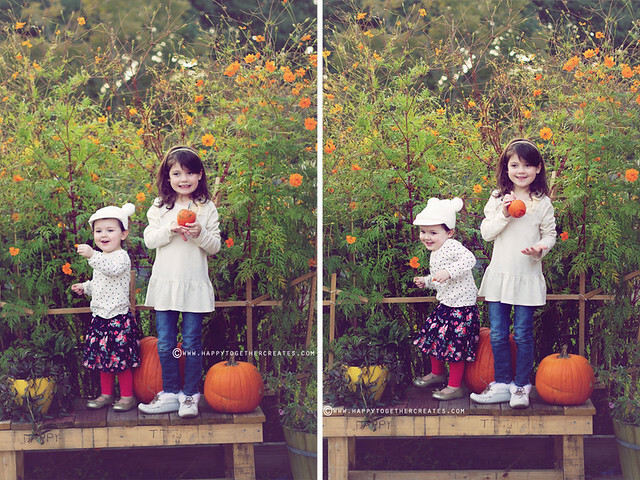 Of course, every child is different, but it’s worth exhausting all options if you are having a hard time with pictures. You never know what might work. Oh, and one more thing. Looking at ads can help give you a picture idea! Here are a few inspiration pics from OshKosh. 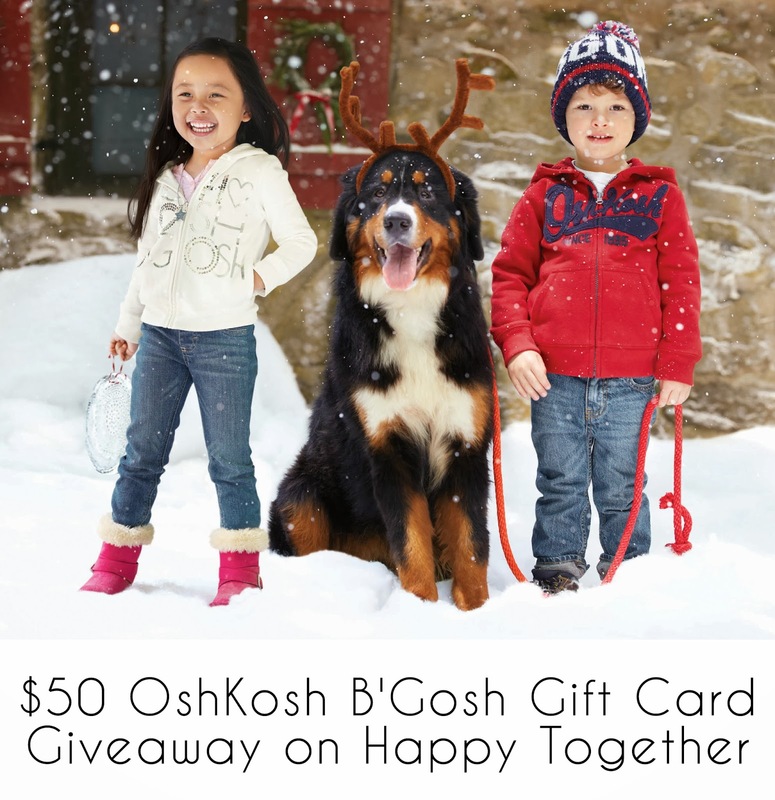 Now for a chance to win a $50 gift certificate to OshKosh B’gosh! It might help you get holiday outfits, presents, or bless someone else with it. Please note that this giveaway is for US residents only and one winner will be chosen at random on November 20, 2013 and will be announced on that day in a blog post. Please make sure to leave a way to be contacted so if you win I can notify you. Feel free to leave your email in ways like this: youremailaddress at yourmail (dot) com. GIVEAWAY NOW CLOSED. Congratulations to Alisia! For more chances to win you may do the following after you have answered the question. Don’t forget to “Like” OshKosh B’gosh on Facebook, follow @OshKoshBgosh on Twitter and on Pinterest for outfitting ideas, vintage ads, deals and special events! Shop online or find the store nearest you here. Love the Ballerina Long Sleeve Embellished Top! The infant boys flannel bodysuits are adorable! I love the red peacoat for girls! Love the embellished reindeer tee! So cute! I love the studded pin dot dresses. I like the Plaid Sateen Dress. I love the sparkle pin dot dress! I like the girl’s peacoats. I really like the buffalo trapper hat! I love the long sleeved embellished top with the ballerins on it. My daughter would love it too! I love the 1-PIECE SNOWSUIT with ears the best! The striped pajamas are just too cute! I followed osh kosh on twitter! I liked osh kosh on Facebook too! I love all of the button-front plaid flannel shirts for little boys! The cable knit caroler outfit is adorable. My son would look so cute in it! I follow Osh Gosh on Facebook. I love the Plaid Sateen dress. It is so holiday to me. i love the LONG-SLEEVE EMBELLISHED SNOWFLAKE TOP. their clothes are so stylish. i love them for sure. i like osh kosh on Facebook. I love the Button-Front Plaid Shirt in green/blue for boys! My son would look adorable in that! I love the red baby boy pullover and the grey sweatervest with cables! I love the girls red peacoat. It’s too cute! Anyone else have a pair of OshKosh B’gosh overalls growing up? I know that I did! This company has been around for a while and reason being is that they are known for making great quality and long lasting clothing for kids. So when I had the opportunity to share have this giveaway here, I knew I wanted to. I love their stuff and well, if you have kids or know someone with kids, you know how fast they go through clothes and can use some that hold up. So why not celebrate an American summer in one-of-a-kind OshKosh Original graphic tees – just in time for 4th of July! OshKosh B’gosh has girls clothes and boys clothes, like extra soft lightweight “OshKosh B’gosh” flag graphic tees for only $4.99! Miss E is wearing this shirt and miss J is wearing this one. I also picked a few of my favorites from their site to share. All of them are on sale right now too! Even better 🙂 In fact, you can see all the July 4th sales here: baby girl, baby boy, kid girl, kid boy. -Save on summer essentials with styles that vary by location. Find a store near you here. –Give a salute to tanks, shorts and swimwear! Your OshKosh kids will be ready for the beach, pool or lake in adorable OshKosh styles. –Save on summer essentials like tees, tanks, shorts, tunics, leggings, and swimwear. –Don’t forget to accessorize! Complete their look with flip flops, hair accessories and jewelry, too. Follow @oshkoshbgosh on Twitter and OshKosh B’gosh on Pinterest for outfitting ideas, vintage ads, deals and special events! OshKosh B’gosh is proud to help military families stay connected with our partnership of the United Through Reading® Military Program. Donate $1, $5 or $8 at checkout (online & in-stores) with your OshKosh B’gosh purchase or feel free to donate directly at www.unitedthroughreading.org/. Giveaway is now Closed. Thank you to all who participated! *Please make sure there is a way to contact you via email or blog so I can let you know if you are the winner. 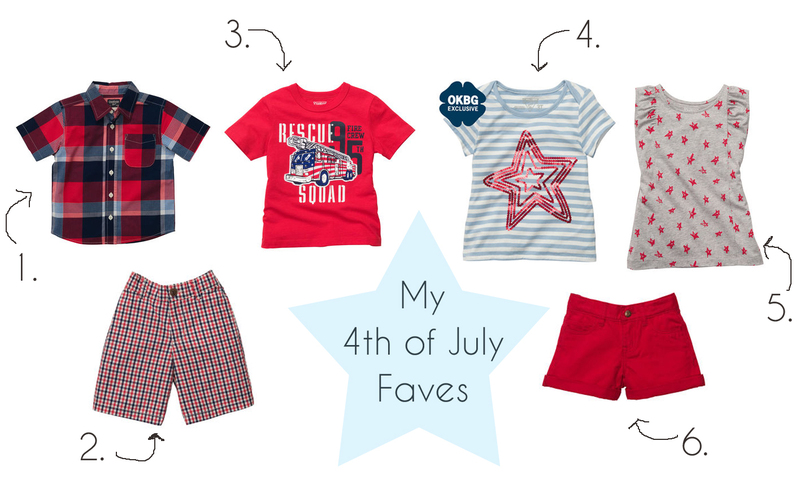 OshKosh B’gosh partnered with bloggers such as me to help promote Fourth of July Sale. As part of the program, I received product or gift cards. OshKosh B’gosh believes that consumers and bloggers are free to form their own opinions and share them in their own words, and therefore did not tell me what to purchase or what to say about the products I used. OshKosh B’gosh policies align with WOMMA Ethics Code, FTC guidelines and social media engagement recommendations. The winner of any giveaway in this program will be randomly chosen and gift card fulfillment will be handled by a third party. I really love the red t-shirt with heart shaped flag. But can I just say, the Star Salute outfit is so unbelievably sweet! Love their clothes!!! I wold buy that awesome tee with the American flag fire engine. What little guy doesn’t love a fire engine? I would buy the “USA Girl” Graphic Tee for my daughter. Thanks! I think the Dude 95 shirt is super cute! I liked “Button-Front Plaid Shirt,Classic Jean – Tumbled Medium Faded Wash” . Thanks ! I love the sequin star top! My son loves football, so I would get him this tee. I really like the shirts with the flags to show off our American pride! Always loved the quality of Oshkosh that holds up after many washes and still looks new. I would buy the American flag butterfly bodysuit for my granddaughter! I like the striped girls shirt with the star on the front! My pick: American Monster Truck Mud Run! Perfect for my boys! The one with the rescue squad graphic. My favorite is the crinkle lawn embroidered peasant top. Perfect for a little girl. Wish they had it in big girl sizes for me! American flag butterfly screen print graphic. I would like SHORT-SLEEVE EMBELLISHED GRAPHIC TEE for DDs, too cute! I love one of the favorites you picked, the girls striped tee with red star. Love the momma’s daredevil shirt. My 12 month old girl would look so cute in the Sequin Star Top. Thanks for the opportunity to win! I adore OKBG. It’s one of those stores where I can always find stuff I like, I just like their look and style! The TLC Tunic in Stripes is adorable, but hard to choose!!! I love the heart shaped flag t shirt! I know you said July 4th tee, but I like the ninja dinosaur or the tie-dyed T-Rex shirt. I’d get this one for my little guy! The rescue squad t-shirt would be my pick for my boy who likes fire trucks. 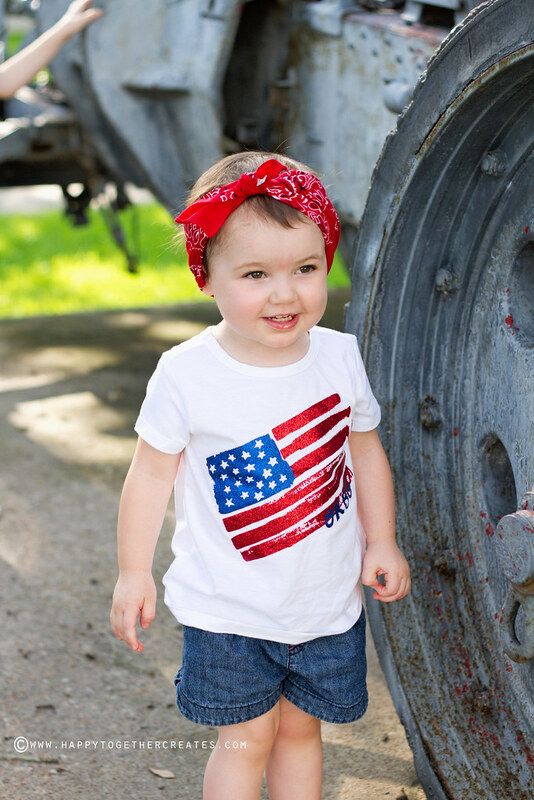 I would choose the Short-Sleeves OshKosh Original Graphic Tee for boy in navy with the American flag.